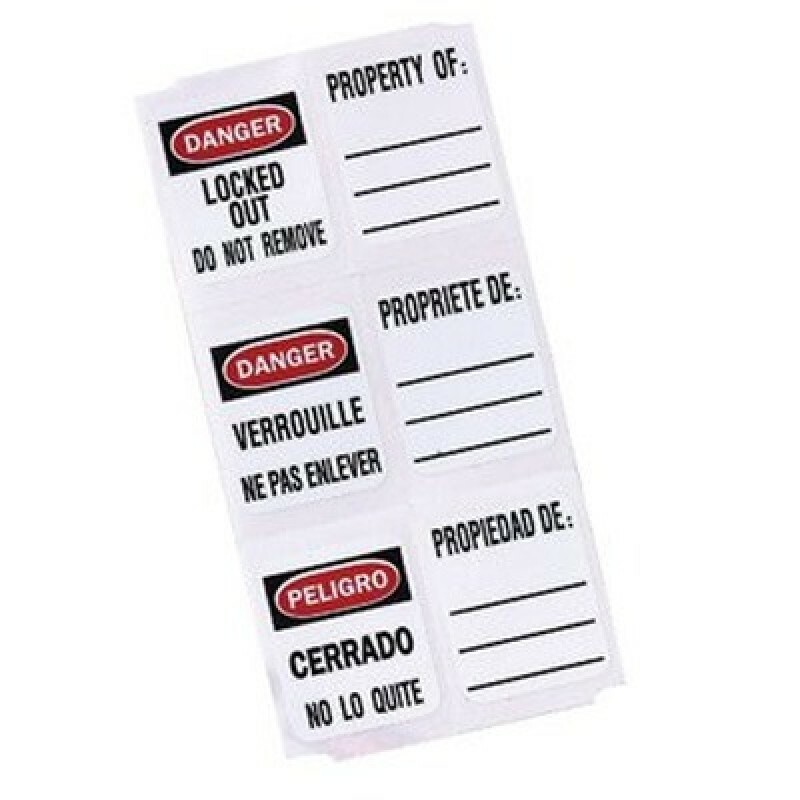 These Danger - Locked Out, Property Of: write-on labels provide easy identification of employee padlocks. Designed to fit 410 Xenoy Safety Padlocks. 150 labels per bag (50 of each language).